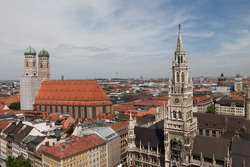 Joseph Tan Jude Benny LLP (JTJB) is pleased to announce that three new offices, in Munich, Hamburg (Germany) and Incheon (South Korea) will be joining the JTJB Network of offices with effect from 1st of June 2016. 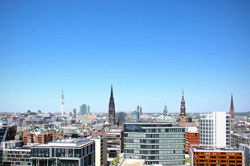 ENDEMANN.SCHMIDT, with offices in Munich and Hamburg will increase the European presence of JTJB in two important German cities with a strong commercial and maritime heritage. ENDEMANN.SCHMIDT has expertise in the areas of commercial, corporate, healthcare and maritime law. With a large German business community present in Singapore and the Asian region, the partnership will be well placed to service German business interests in the Far East, and render assistance to Asian businesses going into Europe. 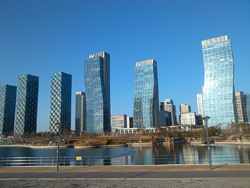 K & P LAW FIRM, a South Korean practice based in Incheon, has expertise in all areas of commercial law, in both contentious and non-contentious matters. The large Korean investments in countries like Singapore, Malaysia, Thailand and Myanmar, all countries where JTJB has offices, will allow K & P LAW FIRM to leverage on existing local legal knowledge, for the benefit of their clients. The addition of Munich, Hamburg and Incheon will bring to eleven, the number of locations in which JTJB has branches or associated offices. The existing locations are Singapore, Kuala Lumpur, Jakarta, Bangkok, Yangon, Taipei, Piraeus and Los Angeles. For any questions relating to the Network, please contact either Mr. Murali Pany (murali@jtjb.com) or Dato’ Jude P Benny (judebenny@jtjb.com). For Munich and Hamburg please contact Dr. Harald Endemann (harald.endemann@es-law.de) and for Incheon please contact Mr. Taejin Kim (taejin.kim@kimnpark.com).